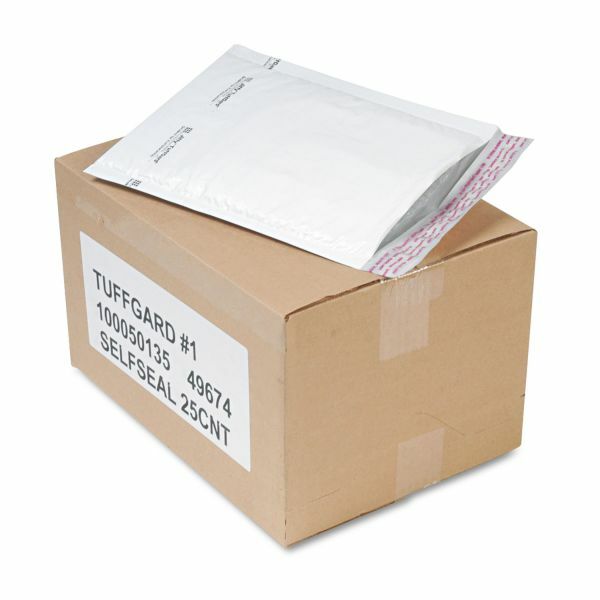 Sealed Air Jiffy TuffGard Self Seal Cushioned Mailer, #1, 7 1/4 x 12, White, 25/Carton - Jiffy Tuffgard Premium Cushioned Mailers are made from puncture-resistant, water-resistant, tamper-resistant poly with a clean, white textured surface for secure label application. Heat-seal seams will not burst. 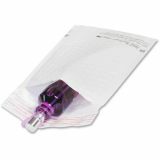 Include a 3/16" Barrier Bubble layer for maximum cushioning. 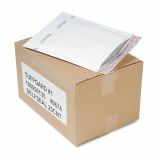 Mailers feature a self-seal closure and are lightweight to save on postage.